It’s a word you’ve probably encountered at some time in your career. Whether you’ve overheard it in the break room, or your tech team are telling you about their new integration, sometimes these terms can sound like white noise. Let’s break down what an API is, and how it can benefit you and your business. API is a application programming interface. 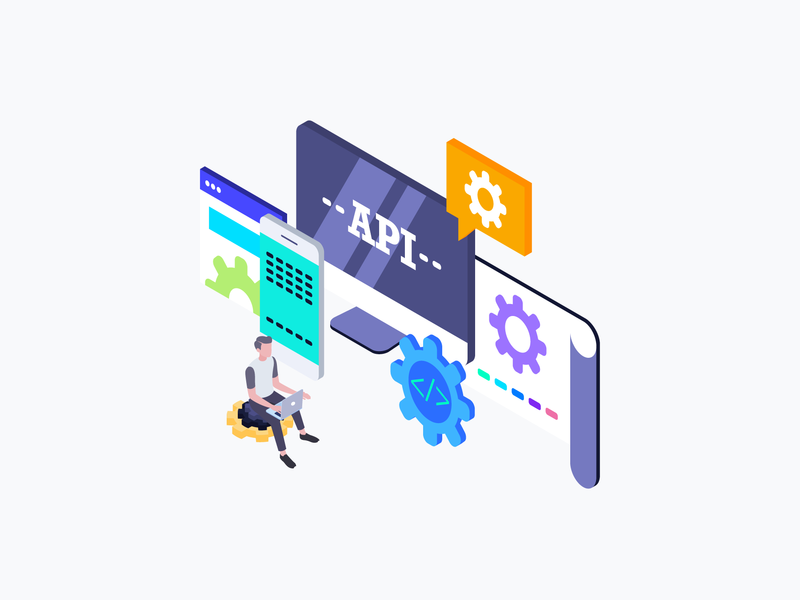 API can be defined as a set of functions and procedures that allow the creation of applications which access the features or data of an operating system, application, or other service. An API isn’t the same as a remote server. Rather, it is part of the server that receives requests and sends responses. Most modern websites come with at least some third-party APIs. APIs take many forms, but they often include specifications for routines, data structures, object classes, variables or remote calls. What is an API key, and what are its uses? In plain English, an API key is a unique value that identifies you. In a more complicated sense, it’s the name given to a form of secret token, which is submitted alongside web service requests in order to identify the origin of request. The key may be included in some digest of the request content to further the origin and to prevent tampering with values. Typically, if you can identify the source of a request positively, it acts as a form of authentication, which can lead to access control. You can restrict access to certain API actions, based on who’s performing the request. For companies that make money from selling such services, it’s also a way of tracking who’s using it for billing purposes. Moreover, by blocking a key, you can partially prevent abuse in the case of super high request volumes.